I am sure that everyone has at least heard of the Rocky universe. 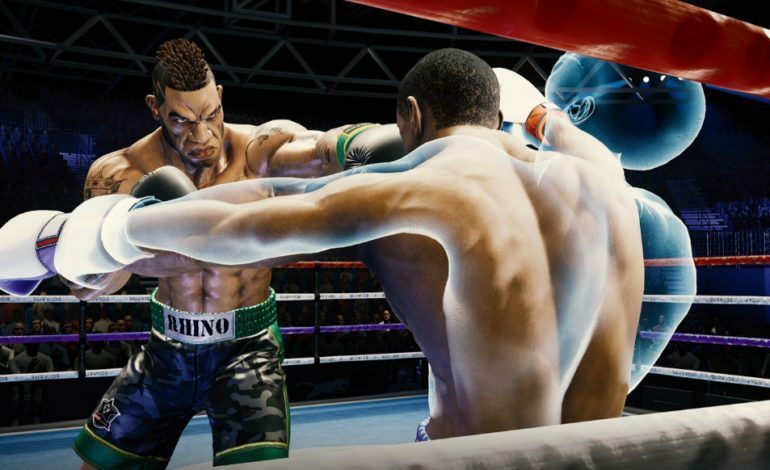 With the newest Creed franchise cementing itself into the world of Rocky, the fine folks over at Survios decided to take their unique technologies and create a boxing game centered around Adonis Creed, Creed: Rise to Glory. The demo itself first opened up with Rocky Balboa training Creed. A few mini games were fired at me, having me land combos, hitting specific points on a heavy bag, and dealing quick, heavy damage. The mini-games were loads of fun, and they provided a great work out. After learning how to throw a punch and getting warmed up, I was thrown into my first fight. As the fight began, the opponent came out swinging, and I was forced to block the onslaught. As the opponent stopped to catch his breath, I returned fire to land a few shots, but he started swinging back. During the exchange, he knocked me back, staggering my character. I had to mimic getting staggered back to regain composure. As we continued to fight, my boxing gloves would start to glow red, indicating that my character was out of stamina, so my punches had very little effect. I had to take a moment to block to regain my energy. While blocking, I countered to knock my opponent down, but he got back up. As my character was tired, I ended up getting knocked down. When you get knocked down, you are sent into tunnel vision, and you have to do a running motion to get back into your body to continue the fight. Moments after, I ended up knocking my opponent out, and the demo was over. Although short, the action was exhilarating, and I wanted to go back in to try again to knock the opponent out faster. After the demo, I was given the opportunity to interview Eugene Elkin, Senior Software Engineer at Survios. mxdwn: What gave you the idea to make Creed: Rise to Glory? Elkin: Well, we always wanted to make a combat game, a melee combat game in VR. We experimented a lot before with a bunch of different types of combat, what it’s like to punch somebody. How it feels to hit somebody and cut somebody. And then, our partnership with MGM gave us the opportunity for the Creed IP. It was perfect because everything was there, and everybody on my team loves Creed, and they loved Rocky, so it was just a perfect opportunity to marry those two ideas together. mxdwn: What kind of research did you do to get all of the combos and melee aspect of the game down? Elkin: There were a lot of different iterations we went through. What we wanted to do first was to find what kind of game we wanted to make. We needed to define that. What we decided on was we wanted to make a cinematic fighting experience. We didn’t want to go down the full simulation route. We wanted to make something really juicy. There are slow-mo moments, and it is almost like what it feels like to be inside of a movie. We wanted to walk in Adonis Creed’s shoes. As we started animation capture with real punches and stuff like that, we realized that we had to exaggerate some things. We wanted to leave openings that a boxer sometimes wouldn’t. When he swings and misses, we wanted to give the opportunity of a really juicy hit to the player. So, it becomes this balance game of how do you make it look correct and be correct. Sometimes it will correct to the player, but we had to modify the animation a little bit to make it feel different. In the end, we wanted it to be a cinematic experience. It’s just gotta feel good. mxdwn: What would you say was the hardest part about building this game for you? Elkin: The hardest part? Well, we had to create a whole system for it, and then there was this whole prototype, which we call phantom melee tech. The idea behind it was, how do we make punching something feel really good, and then how to we make getting hit actually feel interesting? So, one of the first basic things people like to mention is how, oh, punching something feels really good. What’s interesting is that none of the punches pass through. Everything collides on the other opponent, for example, or on a wall. So, as you punch, you’ll notice that your ghost avatar kinda separates out from the glove, and it starts convincing your brain, “oh, my hand actually stopped on something” rather than pulling away from your fist and then having to go “grab” your fist because it stopped on an immovable object. The user actually stops their hand early. If there is a wall, it looks like they stopped their hand on a wall even though there was no physical object there, and we kept it going from there and kept all this technology. So again, how do we make getting hit feel interesting or feel impactful? That’s why when you got hit really hard, you got knocked out of your own body, and you had to recreate the movement of getting hit and staggering back. All of that solves a very difficult problem of VR, which is: how do I hit something, and how does something hit me? Traditionally, the rules of VR will tell you to never take the camera away from the user, meaning your head should always be controlled by you, and never take the input from where your hands are away from the user. We decided to break all of those rules to make combat feel impactful and meaningful. mxdwn: What can we expect to see in the future with this? This has a lot of potential, so what additional things do you see yourself putting into this? Elkin: Well, the game will be coming out later this year, Fall 2018, and there are going to be many different opponents, and each one will have different fighting styles. They will be a lot more difficult, and you might have already noticed that the guy you fought always went for the head, and that was to allow you to figure out how to block. The other fighters will switch up on you. They will start learning from your moves and they will figure out if you are leaving your head open a lot, and they will notice if you leave your ribs open a lot, so they will start going for that. The fighters will start getting harder, and harder, and harder. Also, the training montages from Rocky and Creed will be worked on. There will be new mini-games, different characters you will cross, and there will be different trainers you will meet. You are going to get what you see now, but there will be a lot more of it essentially.